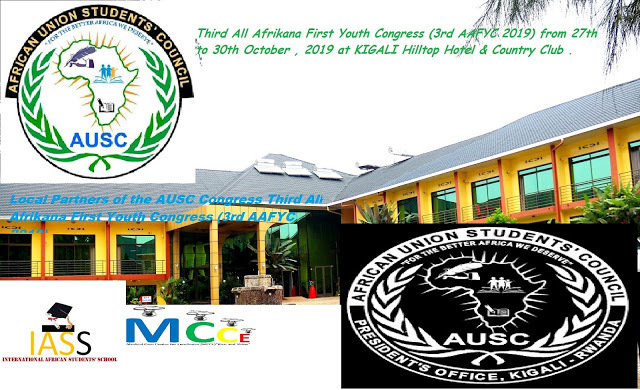 Registration form for the 3rd All Afrikana First Youth Congress (27th to 30th October 2019), KIGALI Hilltop Hotel & Country Club, Kigali-Rwanda. You are cordially invited to the 3rd All Afrikana First Youth Congress (27th to 30th October 2019), Kigali Hilltop Hotel & Country Club, Kigali-Rwanda. For East African community Delegates and Rwanda National Youth Academicians all pay only 50.000 RWF including meals and conference registration, excluding Hotel Accommodation and Local Transportation. 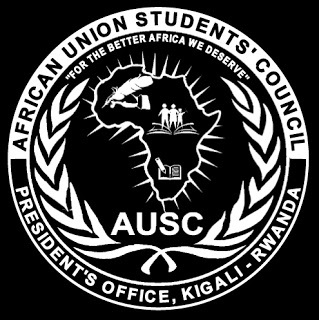 Thank You for liking AUSC and joining us for registering in this AUSC database. Click HERE to read the online invitation to this 3rd AAFYC 2019. Click HERE to open the Concept note for the 3rd AAFYC 2019. As you decide to register , please keep active financial and logistic preparation for the congress, Thus We will keep updating you and add you in other delegates WhatsApp group by June with provision of printable invitations which will be allowing you to start your registration fees payments with 3rdAAFYC2019 registration fees Transfer details. Acceptable 3rdAAFYC2019 Registration fees will have to be paid only from June 1st ,2019 up to September 30th , 2019.